Wedding albums are insanely important and valuable. You’ve invested a huge amount of time, most likely money, and emotions into your wedding day. How are you going to enjoy these memories if they only live on your computer? You want to re-live and share these memories for years to come at family gatherings, on anniversaries, and always. This is why wedding albums are so important. Having a tangible experience in today's digital world is often overlooked. I want to provide you with an incredible family treasured wedding album that you can touch, feel, and experience the magic that was your wedding day all over again. Guaranteed for life and hand made by a team of designers and craftsmen, each wedding album is a custom and timeless heirloom for you to treasure. Do you look at your parents or grandparents wedding images on rolls of negatives or in an album? 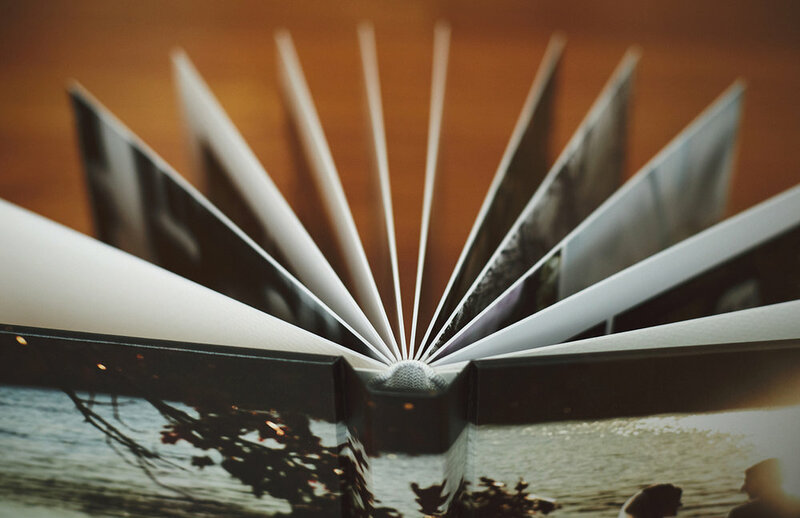 Every album is made of the finest archival materials and can be tailored to your own style and aesthetic to tell the story of your wedding day. Buy an album when you book your wedding photography coverage and receive $200 off a 10x10 album.